1. A Little Passports subscription. 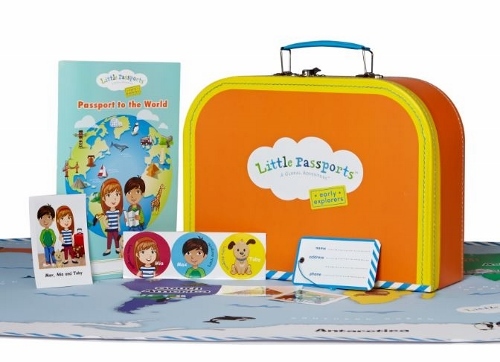 If you haven’t read my Little Passports review, check it out HERE. I can’t say enough good things about this program. Children learn so much about the world and other cultures. This subscription is amazing! 2. A set of wood unit blocks. Yes, you heard me… wood blocks. Blocks not only build strength in a child’s fingers and hands, but they promote social play, foster math skills, teach geometry, and the basic physics of balance and gravity! This is a must-have toy for every child. 3. A set (or two or three) of Magformers. Like blocks, these magnetic building shapes are amazing for building hand-eye coordination but also foster math and science skills. 4. A Dictionary! I swear this is a FANTASTIC gift! My grandma gave me an illustrated dictionary when I was in grade six and I swear I used that dictionary until it fell apart! It was one of the best gifts I ever received! 5. Foster creativity with a monthly subscription to Kiwi Crate. This is a subscription which delivers at least two ready to assemble crafts per month to your front door… and all of the materials and instructions are provided! Just sit back and observe as your children create and explore with this fantastic monthly subscription. 6. Books! Books! Books! I’ve written many times about the value of quality children’s books. Here’s my list of recommended board books and this is my list of quality picture books for preschoolers. 7. Classes. Now is the time to gift a child with a new and unusual class. Are they interested in horses? What about a horsemanship class? A budding artist? What about a watercolour class? Would they like to try rock climbing? What about classes to teach them how to do so? 8. Cooperative board games! We have a whole selection of cooperative board games which we enjoy as a family. They provide opportunities to count, sort, and memorize. Some of our favourite games include: Mermaid Island, Stone Soup, and Count Your Chickens. The majority of these games are ideal for children 3-9 years old. 9. What about a Deluxe Art Set in Wood Case? Opportunities to explore creativity encourage brain development in children of all ages. Why not provide the tools for a child to exercise the practice of creating?! 10. Opportunities to dress up and engage in dramatic play. Whether it’s a toy kitchen or dress up clothes, children need the opportunity to explore different roles in the world through play. Not only does dramatic play foster social development but it encourages language development and emotional development as well! 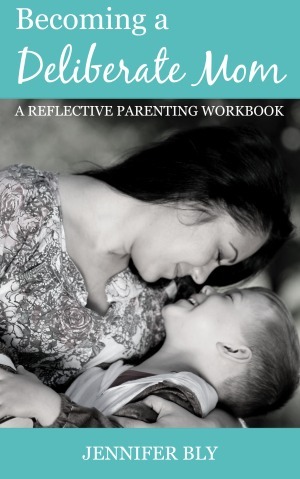 Want to read more about gift ideas? 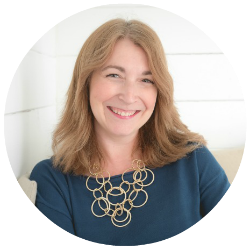 You can follow the Deliberate GIFTS board on Pinterest right here! 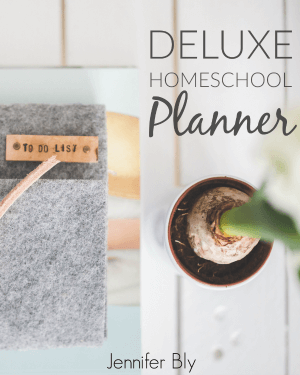 Follow Jennifer | The Deliberate Mom’s board Deliberate GIFTS on Pinterest. So that’s it! Those are my top 10 educational gifts for young children! Can you think of anything you would add to this list? I love the magnetic shapes and visual dictionary! 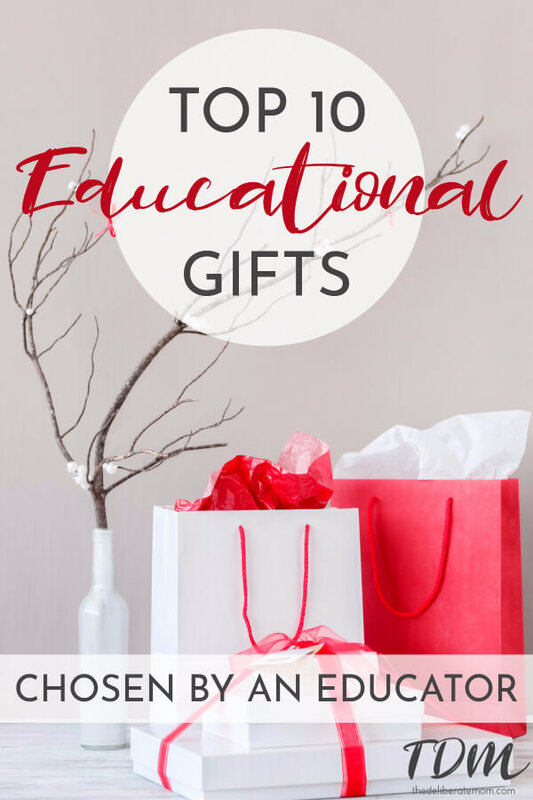 I am all about educational gifts and this is a great post for a girl like me. Thanks Jennifer! Wood blocks and books are MUST HAVE items! Plus there’s never too many blocks and books… truly a great gift! The Magformers are AWESOME! Seriously… I love playing with those! I’ve heard of highlighting the words you look up in a dictionary. When I give my daughter her dictionary I think I’ll encourage her to do that practice. It’s neat to look back and see all the words you’ve researched! I want to get the Kiwi Crate for Little A so bad! I bet they have some really great projects. 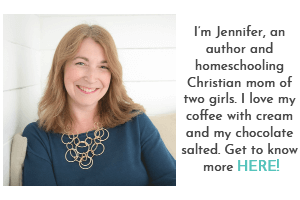 Great list Jennifer! Thanks Tiffany! You should contact Kiwi Crate and see if you can do a review! Then you can try it out. If you like it maybe you can get an affiliate ad and the membership can pay for itself. I’m currently working on a review for Kiwi Crate… we love it! So much fun! This is a great list. We have that exact toy Kitchen, got it when Madison turned 1 and she has thoroughly enjoyed it. She even tries to cook her kitty in there. :) Hope you’re having a great week!